The Church House Bookshop team are looking forward to returning to Greenbelt later this month. 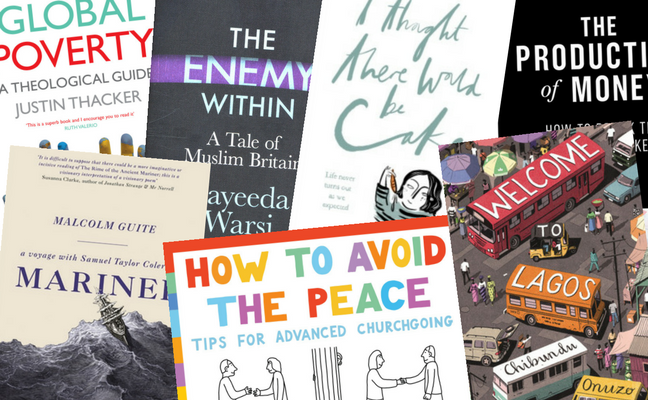 We’re bringing our pop-up bookshop, G-books, back to the festival – visit us over the weekend for books from all your favourite Greenbelt speakers, resources for your church and a great range of children’s books. We also have an exciting events programme lined up, including a whole host of events taking place next door to the shop in The Leaves. Read on to find out about the author events and other activities that we’ll have going on! A number of Greenbelt speakers will be joining us to sign copies of their books. Check the listings outside the G-books tent or search for #gbooks on Twitter. We are delighted to welcome to Greenbelt the best-selling poet, priest, chaplain, and Church Times columnist, Malcolm Guite. Malcolm will be treating us to a selection of his work from Parable and Paradox (Canterbury Press), and even a preview of his forthcoming Love, Remember (Canterbury Press, September 2017). Not to be missed! ‘Place’ is back on the agenda today, with news stories being dominated by questions of local belonging and cultural identity. Andrew Rumsey’s new book, Parish, is a timely consideration of how parochialism has fostered a distinctive sense of place, for better and for worse. As political and environmental debate increasingly links the global to the local, has the parish’s time come again? One for book lovers! Come along and test your knowledge of fact and fiction in our pub quiz-style competition. Maximum of 6 in a team, children very welcome. Prizes for winners. How should we be approaching the issue of poverty? In this talk, Justin Thacker argues against those on the right who say because the poor are always with us, we needn’t do anything to help; but also against those on the left who say we can end poverty if we just try hard enough. Instead, he proposes that precisely because we’ll always be among the poor we need a motivation for poverty alleviation that is long-lasting and goes beyond mere clicktivism.